Trinidad and Tobago could expect $23 billion in investments in the downstream energy sector over the next four years, according to Уa secretФ Ministry of Energy document. UC RUSAL (486 Hong Kong, RUAL Moscow Exchange), a leading global aluminium producer, is pleased to announce the restart of the FRIGUIA ALUMINA REFINERY in Guinea. LS Cable will make a foray into the Indonesian cable market by establishing a production base in partnership with a local company. Enel S.p.A. (УEnelФ) started operations at the Tynemouth stand-alone battery energy storage system (BESS) located in the metropolitan borough of North Tyneside, near Newcastle, in the UK. The system, developed by EnelТs Global Thermal Generation division, uses lithium-ion batteries for a total of 25 MW/12.5 MWh. EnelТs overall investment in the project, including construction, totalled approximately 20 million euros. On May 29 and 30, the leading event in the field of microelectronics and semiconductors SEMIEXPO Russia 2018 was held at Expocentre Fairgrounds. This year, within the framework of the exhibition, a two-day program of diverse business events took place: from conferences on various aspects of business development in Russia and to the first in Russia SEMI Member Forum, which became the premiere of this year. More than a thousand of professional specialists, students of specialized universities in Russia and foreign experts attended the exhibition. A UAE project has been fitted with the first set of 400kV power cables manufactured in the Gulf. Enel, through its advanced energy services division Enel X, and IONITY, a joint venture of BMW, Daimler, Ford and Volkswagen Group, the latter through Porsche and Audi, signed an e-mobility cooperation agreement to install by the end of 2019 up to 20 IONITY charging sites, each with a maximum of six high-power electric vehicle chargers of up to 350 kW per charger. The 20 Italian sites are part of IONITYТs plan to install 400 high power charging (HPC) sites across Europe, which are able to top up today and the next generationТs electric vehicles in 15 to 30 minutes. 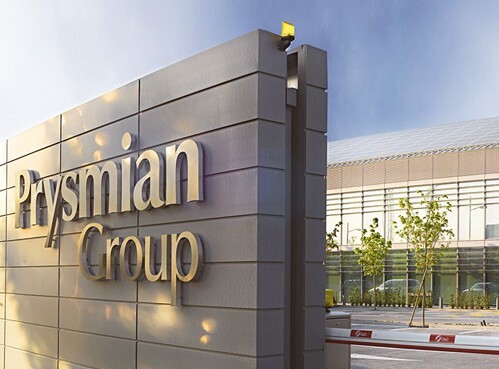 Prysmian Group and General Cable Corporation announced that the parties have been informed that they have obtained clearance from the Committee on Foreign Investment in the United States (CFIUS) for the proposed acquisition of General Cable by Prysmian. Such clearance was the last of the regulatory approvals sought in connection with the transaction. At an SCDOT press conference today, officials said that a company in the Summerville area manufactured the replacement cable for the Wando Bridge.